Visiting Florence this winter? Here are three exhibitions you don’t want to miss. Hurry, as this one’s about to close, but definitely worth seeing for those interested in the Renaissance, a time of extraordinary intellectual creativity, which is so strictly intertwined with the history and development of Florence itself and Western culture overall. The exhibit features more than 70 paintings and sculptures from the second half of the 16th century by artists of the caliber of Michelangelo, Andrea del Sarto, Rosso Fiorentino, Pontormo, Bronzino, Giorgio Vasari, Giambologna. Opening times: every day 10 am to 8 pm; 10 am to 11 pm on Thursdays. This interesting exhibition, conceived and curated by Accademia Gallery’s director Cecilie Hollberg, displays the important role of textile art in Florence in the 14th century, both for the city’s economy and as artistic production. The quality of Florentine wool and silk achieved such a level of excellence that it was requested all over Europe and beyond. 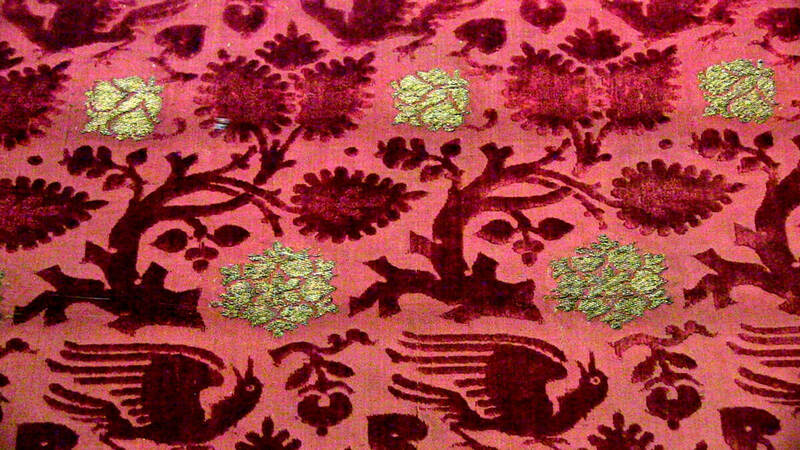 Artisans and painters found inspiration in the fabrics and fashion of the time, as can be seen in the woven and painted works on display so as to "transfer" the luxurious textures of the fabrics to the tables and frescoes kept in the city as it will be possible to find in the glittering woven and painted works that will be visible in the display. Opening times: Tuesday-Sunday, 8:15 am to 6:50 pm, closed Mondays. 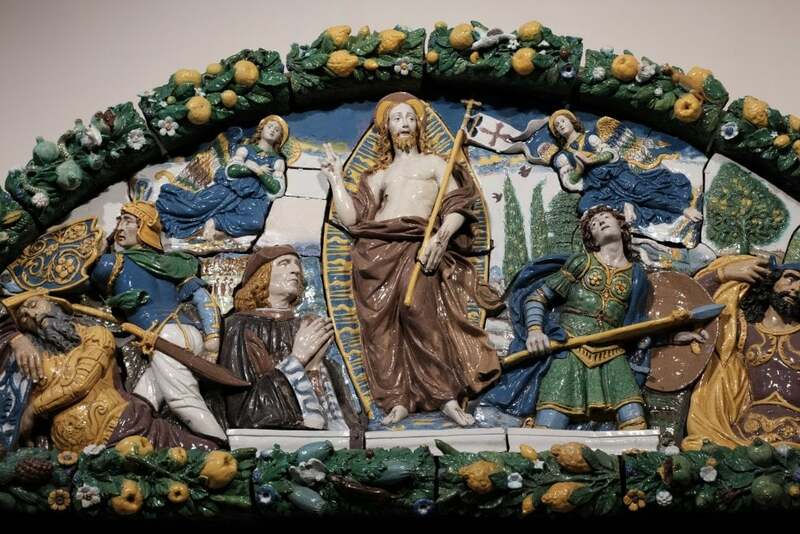 Don’t miss the chance to see a Renaissance masterpiece that is back in Italy for the first time since 1898: Giovanni della Robbia’s glazed terracotta Resurrection of Christ (ca. 1500-1520), known in Italian as the ‘Lunetta Antinori’, because it was commissioned in the 16th century by Niccolò di Tommaso Antinori, the man who started the entrepreneurial fortunes of this ancient Florentine family (the Antinori are among Italy’s largest wine producers and played a pivotal role in the “Super-Tuscan” wine revolution of the 1970). The piece of art was to adorn Villa Le Rose, the family’s countryside estate just outside of Florence; the descendants have financed its restoration. In an adjacent room, the contemporary installation “Scena Fissa,” by artist Stefano Arienti, is a reinterpretation of Della Robbia’s piece in order to create a dialogue between Renaissance and contemporary art. Opening times: Monday-Friday 8.15 am - 1.50 pm; Saturdays and Sundays, and March 23-April 8, 8.15 am-4:50 pm. Even if you're not based in Florence, you can still easily and quickly reach the Tuscan capital by high-speed train from major Italian cities, check the options here. Rovigo: A Small Town in the Veneto Which Punches Above Its Weight!